Have you been charged with Federal Conspiracy in New York City? If so – You need to consider hiring a New York City Federal Conspiracy Lawyer. Conspiracy is an extremely broad federal charge in New York City that can encompass many actions or conduct. It is also a unique crime. It is distinct from other federal crimes, such as cyber terrorism, embezzlement, identity theft, and wire fraud. This distinction is that to commit conspiracy, you don’t need to cause actual harm against a victim or the government – you must only take steps to cause such harm or injury. 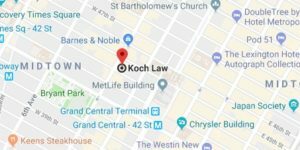 Koch Law is a New York City law firm handling criminal defense in both federal and state cases and also representing individuals with immigration questions or concerns. An important part of our firm’s practice is dedicated exclusively to the defense of federal conspiracy charges – ensuring your case receives the experience and strategic approach necessary for an acquittal. At least one overt act was taken in furtherance of the conspiracy. Federal conspiracy charges are extremely confusing and often complex. Even after you are arrested and arraigned on federal conspiracy charges, it can be difficult to know the exact severity of the charges or what the prosecutor needs to prove in court. This is where New York City defense counsel for federal conspiracy steps in. 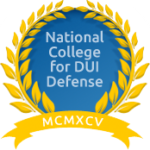 A New York criminal lawyer can explain how these charges are applicable to your specific case. The United States has a broad and overarching federal conspiracy statute. Found in the U.S. Code at 18 U.S.C. Section 371, the statute makes it a federal criminal offense for two or more people to conspire to commit a crime against or defraud the United States government. However, just as white-collar crimes and computer crimes can be charged under multiple statues, so can federal conspiracy. Conspiracy to commit other crimes or illegal actions. 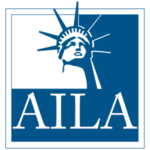 A New York City defense counsel providing representation for federal conspiracy charges, must also know and understand federal statutes criminalizing the underlying crime or fraud and the U.S. Sentencing Guidelines. This requires the broad range of legal knowledge, plethora of experience, and assurance your case will receive adequate attention that is found at Koch Law. Thank you Lee for representing my son so successfully. You definitely take great pride in making sure we were informed every step of the way. You are passionate about your work and it shows in the results. Great service from beginning to end. Reasonable pricing and kept me calm aside worries I had. All turned out as he had mentioned. Koch Lee is an awesome attorney. He actually goes out of his way for his clients! He is extremely intelligent and answered all of my questions. I feel so lucky to have encountered him and I can think my fiance who chose him. He help us with our case. He went above and beyond answering my text, late night legal advice and he even met me at the Courthouse and assisted me in obtaining legal Documents. No question I will work with him in the future. Absolutely amazing Law Professional. Lee is an incredibly knowledgable lawyer that actually cares about his clients personally. My girlfriend who is on an F1 visa, has had numerous issues being harassed while entering the USA over a criminal case that was ACD-ed (dismissed, no conviction). On our last trip into the USA from vacation, a CBP officer in secondary inspection continually harassed her and gave her a very difficult time. The next day we called Lee and asked if there was anyway we could prevent this in the future. Lee guided us through visiting the NYC court house and how to get a few copies of a signed and stamped Certificate of Disposition for my girlfriend to carry around every time she travels. He guided us through what my girlfriend should say to various future questions CBP officers could ask her regarding the case. He was incredibly kind and apologized to my girlfriend on behalf of the rude behavior of the CBP agents in our country. Lee knows what America stands for and he will fight for you and your rights and care for you as a person. Lee knows what place America should be, a place accepting of all. Thanks so much Lee! Lee Koch was incredible in getting my husband and I the advice and the assistance we needed in helping out in the immigration case of my father's girlfriend. The attorney she had spoken to prior had made unethical moves and Lee assisted us and took the time to speak to her. He kept us up to date on how much everything would be as we were very wary of keeping in line with our budget after the experience with the previous lawyer. He was very human and sincere in his approach and were were never left in the dark in any of our communication. 5 star human. I gave Lee's office a call for a consultation and he called me right back. He was very helpful and patiently listened to the questions I had and offered very useful advice and suggestions on how to proceed. He even gave me his email and phone number for any additional questions I had! Very helpful. Passionate and inspirational lawyer. Lee loves his work and drives into every case with passion and integrity. I was very satisfied with the way Lee handled my case with the upmost professionalism as he guided me thru the entire process while getting me the best possible outcome. I highly recommend. I couldn’t of asked for better . Extremely helpful. He answered all of my questions and put my mind at ease . Don’t know what I would of done without his help . Lee Koch is the best. Simply put, if it is important to you, call him. Mr. Koch is a fine lawyer - he truly and passionately cares about his clients, and has a solid understanding of both state and federal law. If you want a lawyer who is great at communicating, and who provides excellent legal service, then Mr. Koch is your guy. Lee Koch may be the best lawyer for your case, as what he gives you is realistic guidance on what truly is best. He isn’t just a lawyer, he is a friend and ally, with your overall best interest at heart. He is a solid lawyer who takes a deep, personal interest in your case. His heart is in the right place because he understands what his clients are going through; from my experience, he doesn’t just approach the matter from a legal perspective—he takes into consideration the entire issue and how it may affect your life. First of all.... Thank you Mr.Koch for your premium service. You are an amazing attorney, there nothing more i could have asked for. I would highly recommend Mr.Koch if you are looking for someone to represent you.친절하게 상담해주시고 도움 많이 주셔서 감사드립니다. Great advise , attorny listen and give a good time and a great experience to client! Great job . © 2019 Koch Law All Rights Reserved.